Time and again, research has shown the necessity of good toileting for children’s health. So we designed the Rifton HTS with that in mind. Hygienic, simple, affordable, the Rifton HTS promotes the positioning that is ideal and natural for effective toileting. 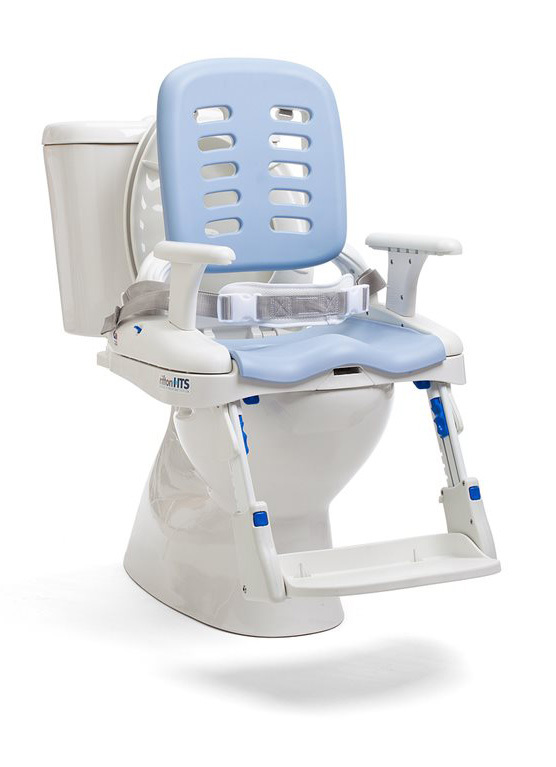 Meanwhile, its versatility and simplicity – usable on, over and off the toilet, no tools required – make the lives of caregivers better too. 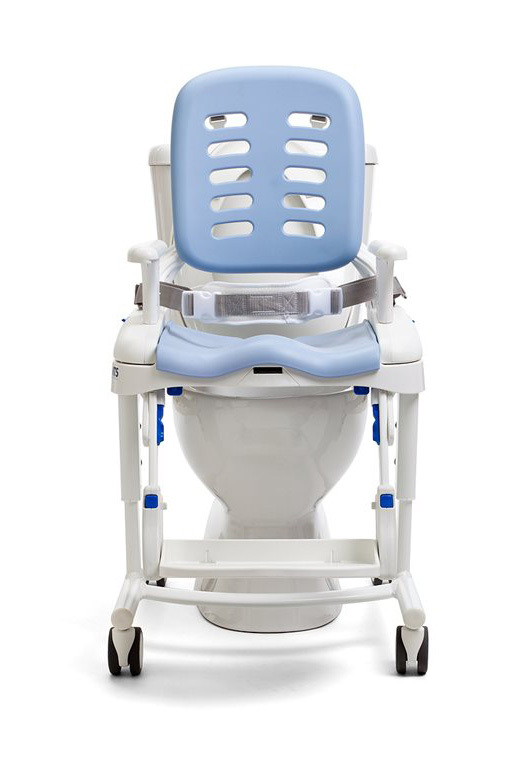 The unique design of the optional seat pad opening – open to the rear for larger clients – facilitates clear access for cleaning and hygiene. 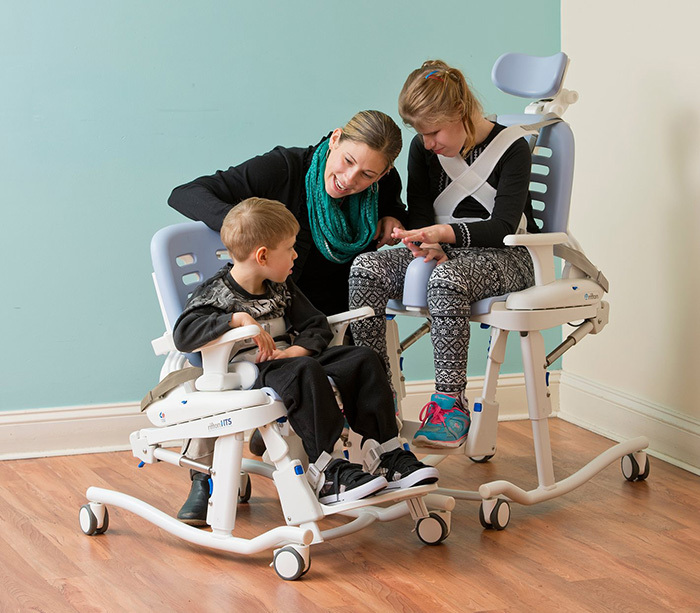 he portability kit provides clients with greater independence – and their families greater freedom to travel. 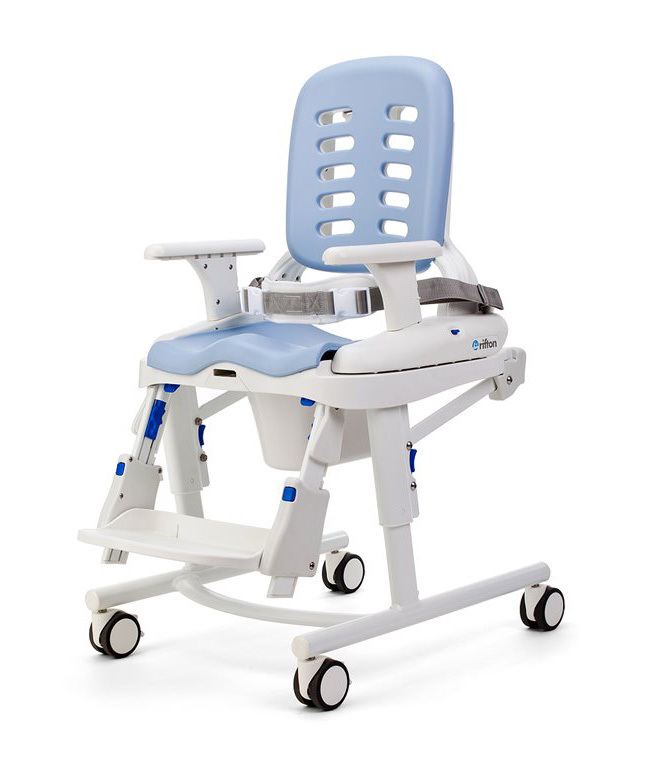 Optional integral skin foam pads for the back and seat provide comfort for clients and easy disinfecting for caregivers. 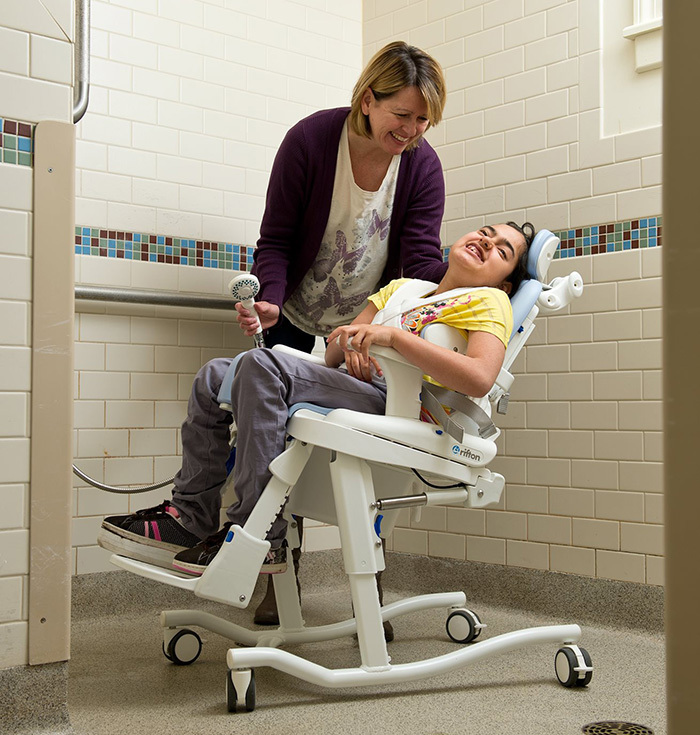 Optional gas-assisted tilt-in-space enables the Rifton HTS to tilt 5˚ forward for easier transfer and better toileting position, as well as 25˚ back for showering and hair washing.